Mary Carol Garrity, the founder of Nell Hills, has garnered national attention with Forbes magazine dubbing her “one of the hottest little retailers” in America. She has been featured on CBS’s The Early Show and NBC’s Today Show and in The Wall Street Journal, Fortune, Midwest Living, Country Living, and many more. Mary Carol is the author of nine books on home decorating, a weekly decorating blog, ‘Style at Home with Mary Carol Garrity’, and a column syndicated weekly throughout the U.S.
She has been featured on CBS’s The Early Show and NBC’s Today Show and in The Wall Street Journal, Fortune, Midwest Living, Country Living, and many more. Mary Carol is the author of nine books on home decorating, a weekly decorating blog, ‘Style at Home with Mary Carol Garrity’, and a column syndicated weekly throughout the U.S.
After 35 years in business, Mary Carol knows what it takes to build and maintain a thriving business despite changing markets and significant challenges, including the crash of 2008. 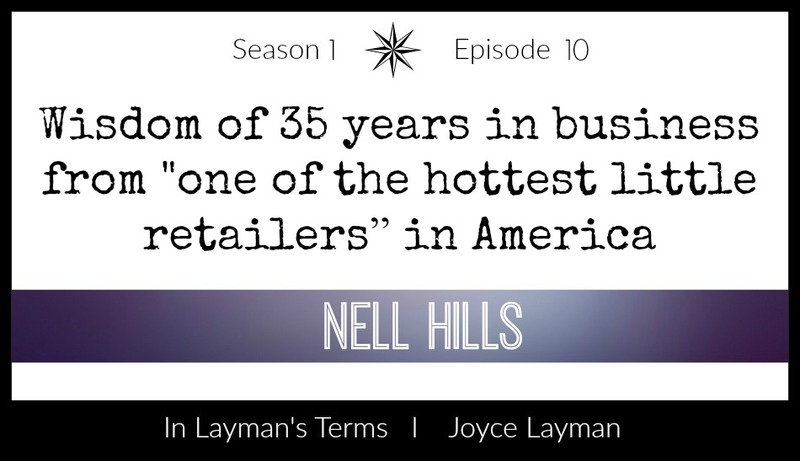 Nell Hills first opened as a gourmet food store. Call it luck, right place right time, guts and determination, a great mentor, or all of the above, Mary Carol grew her small shop in Atchison Kansas into a retail empire. It’s easy to see how passionate she is about her staff and customers. No matter what business you are in, you’ll find valuable insights in this episode! 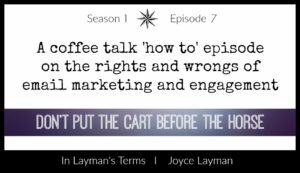 Or, find this episode and the rest of the In Layman’s Terms podcast episodes on iTunes. The original Nell Hills store, located in Atchison, receives an average of 75,000 visitors a year. If that’s too far of a drive, then check out the Briarcliff Village location in Kansas City. Be sure to plan on spending most of the day as you’ll need it to explore the 16,000 square foot store with items that fit everyone’s budget. Be sure to ask for Mary Carol as she’s there most of the time doing what she loves best – taking care of her customers. In the meantime, you can read her latest blog post: 5 Ingredients of a Well Dressed Room. Social or just looking for terrific ideas for your home? 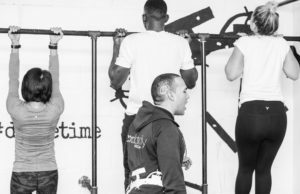 Be sure to follow Nell Hills on Pinterest and Instagram. You can also get their latest posts on Facebookand Twitter. 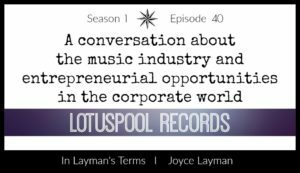 I’d love to hear your comments and questions so feel free to drop me a line atJoyce@joycelayman.com. Stay tuned for Episode 11 – Challenging the Status Quo with Rebel Brown!